I like music. I listen to music. I love music. A good friend started referring to me as a local stealth celebrity, and it remains one of the nicest compliments that anyone has ever given to me. 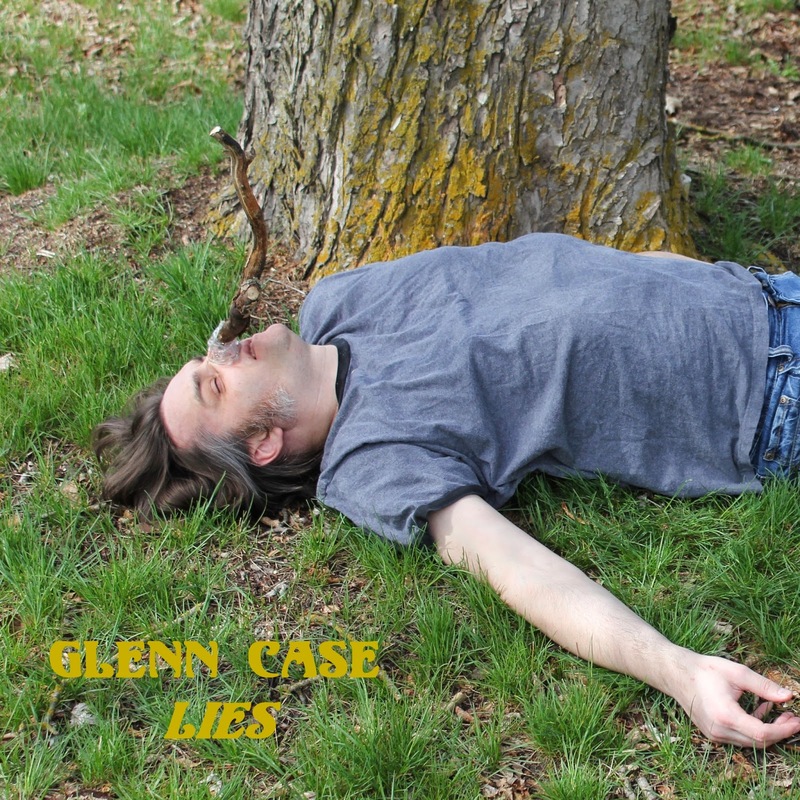 I have a new album called "Lies". No, that is not an April Fools' joke. The album is available in digital format for now. No CDs planned yet. You can also buy it on Amazon or iTunes if you are so inclined. In fact, it should be available at virtually any online music retailer you can think of. Want the see the credits and/or lyrics? Download them here. Special thanks to Rachael Layne, Mo Ouyang, Joshua Martin, Brandon Humphreys, Brian C. Baer and Tracy Aronson for helping me make the album. Me? I am probably going to be playing Pac-Man on Google Maps as much as possible today. Hope you enjoy the new album! I have much more planned this year. Stay tuned! There may be Guardians of the Galaxy spoilers ahead, but if you haven’t seen it by now, you’re probably not interested anyway. At any rate: You were warned. 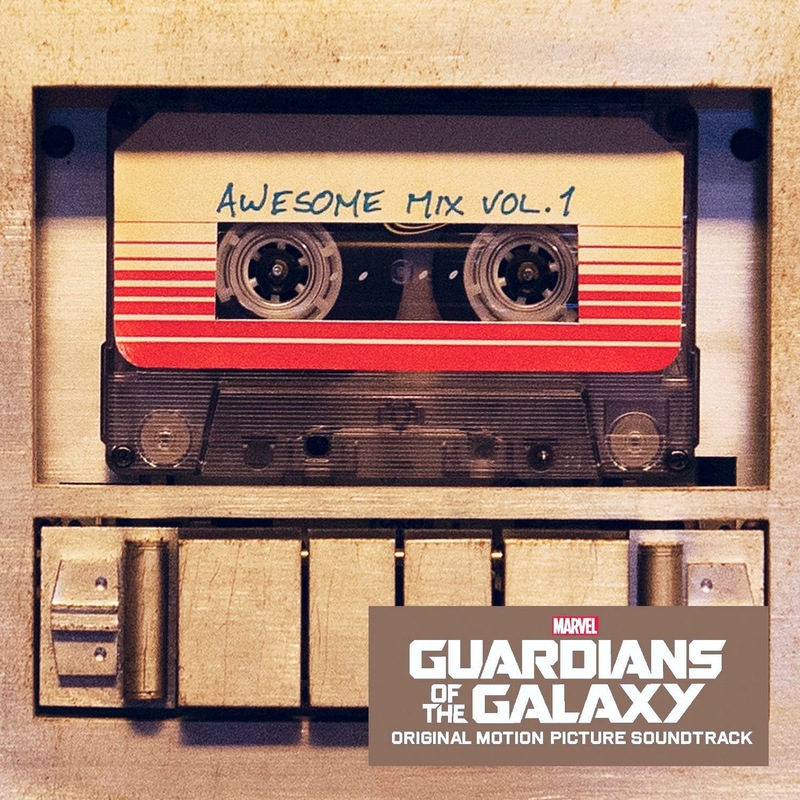 I genuinely love that Guardians of the Galaxy: Awesome Mix Vol. 1 (Original Motion Picture Soundtrack) has done as well as it has! The album is essentially just a great 70’s music compilation that made it to the top of the Billboard albums chart by August of 2014, and sold over a million copies as of January 2015. The music plays a major role in the film, stopping just short of being a supporting cast member! The way the songs are lovingly presented in the film is a likely reason for why the album has done as well as it has. Still, there were some things that didn’t sit right with me about the soundtrack. 1. From a marketing standpoint it makes sense that “Ain’t No Mountain High Enough” and “I Want You Back” are included because both songs were in the movie, but we are lead to believe that at least "Ain't No Mountain High Enough" was actually on Awesome Mix #2! The Motown connection between the two makes me think it is both songs. 2. The soundtrack clocks in at 44 minutes and 35 seconds. 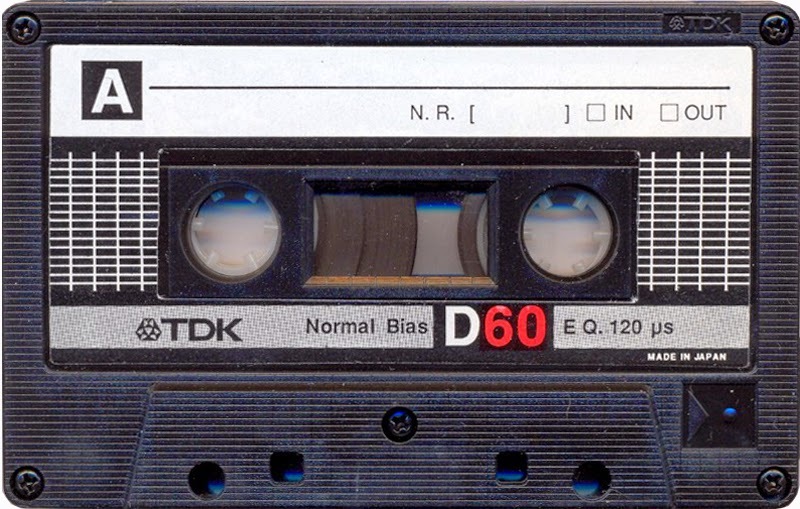 Most common store-bought blank cassettes in the 80’s were either 60 minutes long (30 minutes to a side) or 90 minutes long (45 minutes to a side). 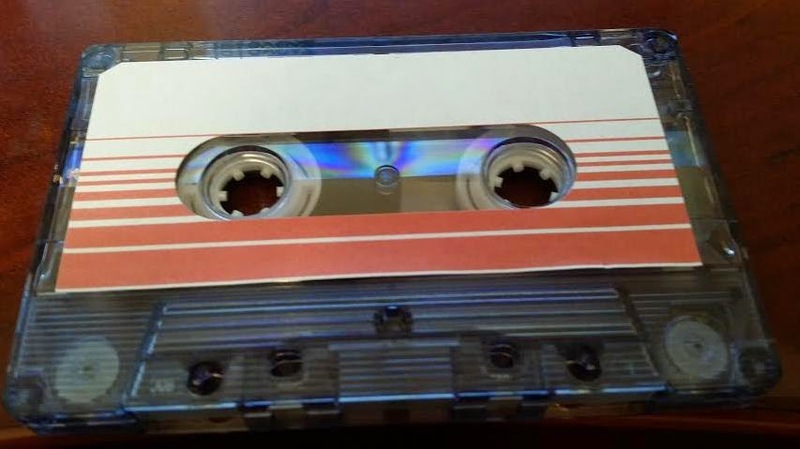 While it is possible that the cassette is a rare 45 minute blank cassette, I think it is safer to say that we either did not hear all of the songs on Awesome Mix #1, Starlord’s mom put the same songs on both sides of a 90 minute cassette for some reason, or there is a lot of blank space on there somewhere. 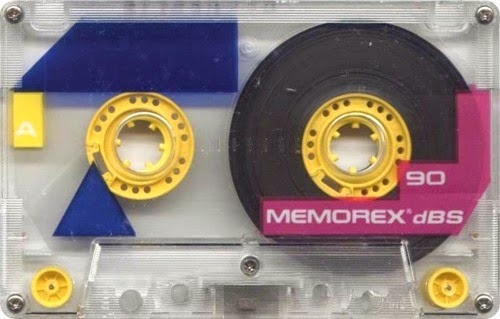 In my mixtape making experience, I always wanted to fill every bit of that tape that I could possibly fill, and I don’t think I am alone in that habit. 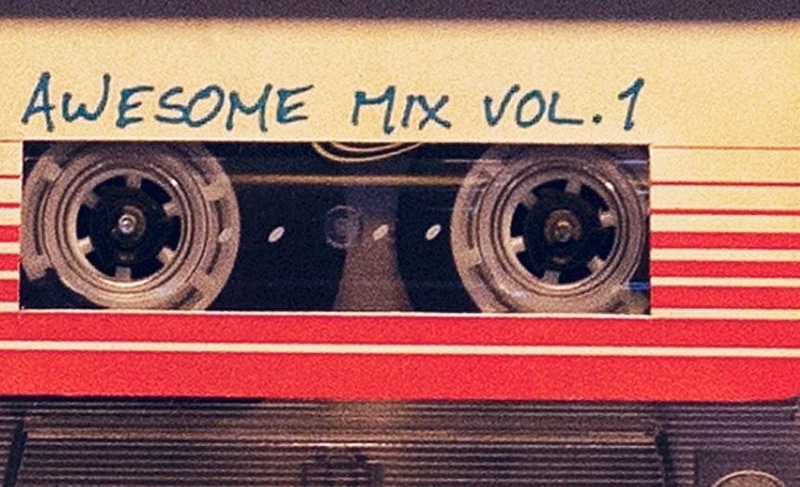 I preferred to imagine that we didn’t hear all of the songs from Awesome Mix #1, but it wouldn’t have made sense to fill out the soundtrack with extra songs that weren’t included in the film. So, in September of 2014 (A couple of months before an official cassette version was announced.) I decided to make my own Awesome Mix #1. Firstly, I removed “Ain’t No Mountain High Enough” and “I Want You Back”, choosing to include those in Awesome Mix #2 instead. That subtracted around 5 minutes and 27 seconds from the running time. I decided to go with 60 minute TDK tapes which would give me a total of just over 20 minutes to fill. 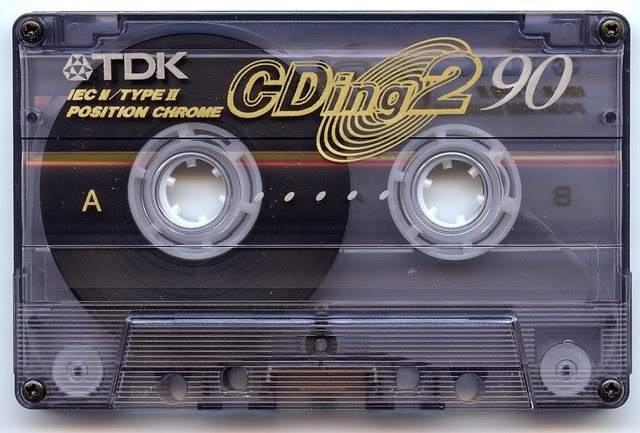 Look at the circular design behind "CDing2". See something similar underneath the word "mix" in the cassette from the soundtrack's album cover? I wanted to be especially careful with my extra song selections. So, one of my first orders of business was to catalog the years of release for each song. So, it was going to be best to stick with songs that came out between 1969 and 1979. In fact, I wanted to shy away from going with many (if any) late 70's selections, since "Escape (The Piña Colada Song)" was the only example of an included song released after 1976. After much thought, I came up with this track order. My additions are listed in bold and I included the year of release. I initially had "Magic" on Awesome Mix #2, but promoted it to Awesome Mix #1 after reading a story that claimed the song was originally going to be included in the film, but the song was within a scene that was cut. It also made me feel like I was on the right track! I actually chose a song that they had initially chosen as well! 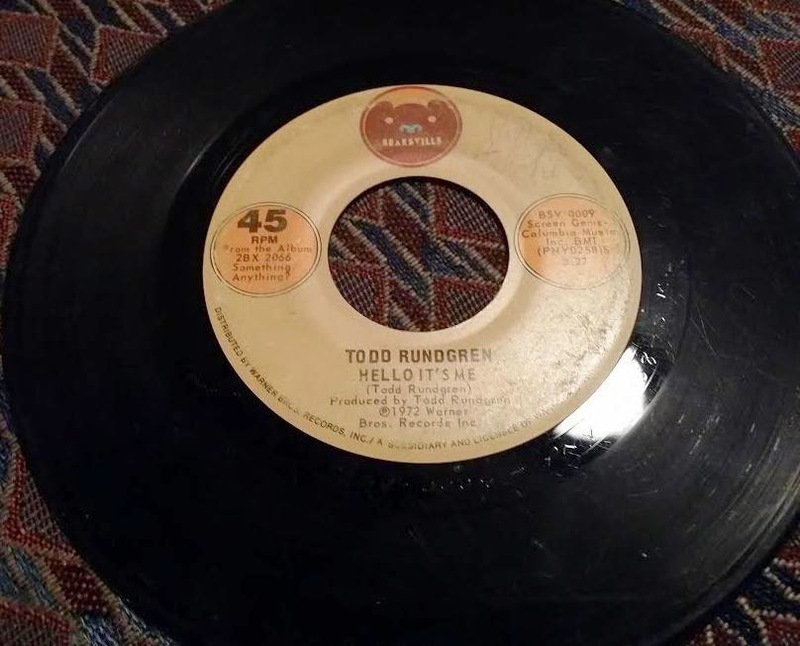 I decided there was a good likelihood that the original source of the songs would have been 45's. I imagined Starlord's mother would have probably been buying singles of her favorite music in most cases, rather than 8-tracks or cassette tapes of entire albums. That's certainly how I learned of many 70's classics within my parents' record collection. While I do own some of the songs from the soundtrack on vinyl, I had many more of them on CD. 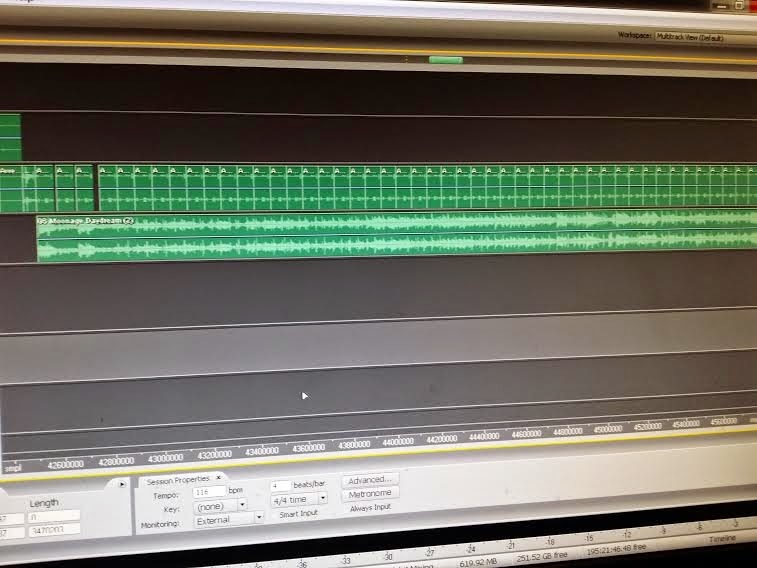 I decided to try to make the songs sound like they were on vinyl by recording vinyl, and copying and pasting the beginnings and ending needle sounds with Adobe Audition 3. Then it was a matter of lining the songs up, and making sure they would fit on a 60 minute cassette. I even filmed the first transfer to cassette. 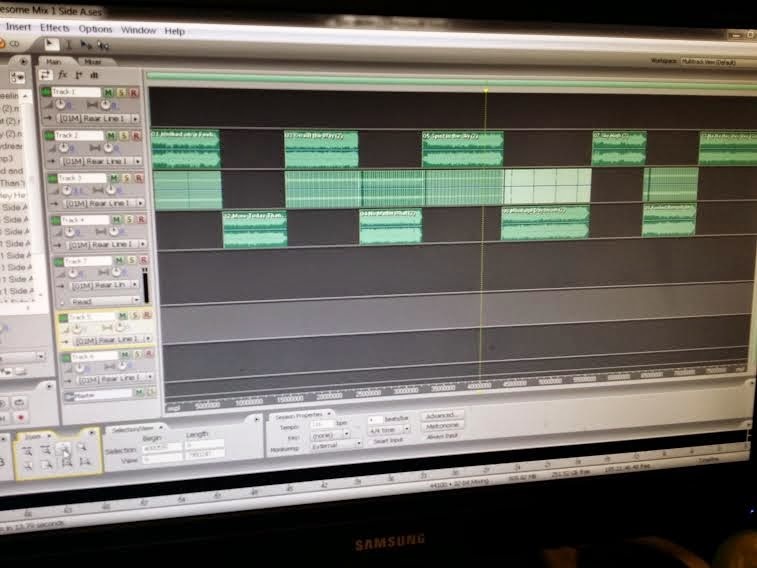 Oh, I also started making "Awful Mix #1". 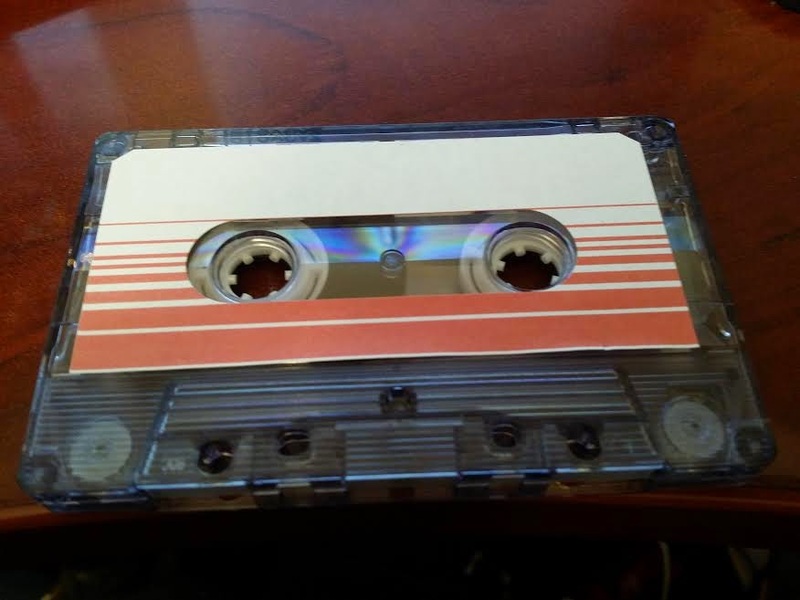 The sort of tape that Starlord's mother might have made if she wanted to troll him with music from the same era.